This is a must try pie!! Use the rum! *Use lots more coconut too ~ :) This is adapted from an old recipe from Pillsbury and absolutely needs more coconut! 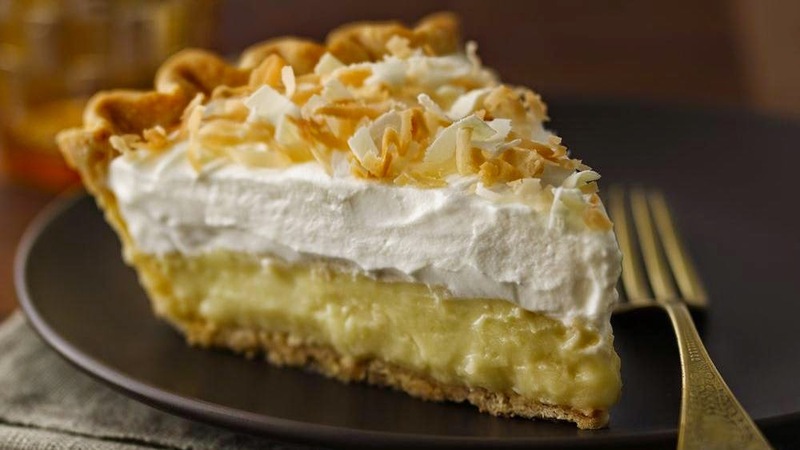 I absolutely love coconut and this pie looks delicious! I'm pinning, can't wait to give it a try! Oh I haven't had a piece of pie like this in forever! It was always a favorite of mine. I can taste it now. Oh. My. Goodness. This looks SO good!!! I absolutely love coconut, so this is one of my favorite pies to make/eat. :) Even my "picky eater" son loves coconut. Go figure. Lol! Ooooooh! Coconut Pie is my favorite. That looks amazing,Pat! I wish I had a big piece of that right now. Yum! It sounds delicious! What a great recipe. I am saving it for future reference. Now Pat, that looks absolutely delicious! I pinned it because I have to try this. This is making my mouth water:) MY FAVE! Thanks for this recipe! HUGS! Thank you so much for stopping by and your lovely comment. Today was a typical fall day!! Lol my hubby and I are in weight watchers so I'll have to pass on the delicious looking pie but it looks wonderful! Oh, my mouth is watering!! I am about ready for a Triple Treat, this pie looks like a little bite of heaven. Sure hope we get some rain this week, we are really dry over here at the lake. Thanks so much for sharing this awesome recipe with Full Plate Thursday and hope to see you real soon! My hubby is going to LOVE this pie! Oh. My. Word! This may be my next decadent indulgence! P.S. This is Pinterest worthy!